Here you can find some information about this year's events. Click on each photo to see and read more. Please be patient, this page may take a while to load. If you want to find previous events use the drop down menu to see what we've done in past years. 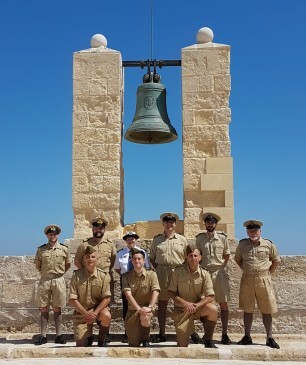 Malta Command was once again invited by our friends of Ops 39-45 to commemorate the 100th Anniversary since the inception of the R.A.F. We had the unique opportunity of staying at Petwood Hotel in Woodhall SPA which between 1939-45 it became an Officers' Mess for several R.A.F. 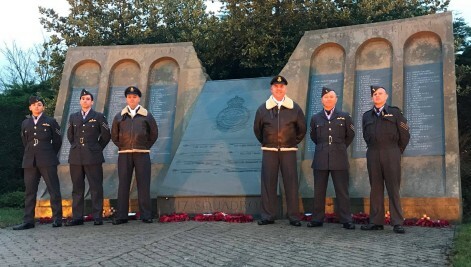 Squadrons including the famous 617 Dambusters Squadron. ‘Operation Chastise’ was an attack on German dams carried out on 16–17 May 1943 by Royal Air Force No. 617 Squadron, subsequently publicised as the "Dam Busters", using a purpose-built "bouncing bomb" developed by Barnes Wallis. The weekend consisted of flying over RAF Scampton in a two seater Cessna plane, visiting RAF East Kirkby where the famous Avro Lancaster NX611 ‘Just Jane’ is housed, attending a gala dinner to celebrate the 75th Anniversary of the Dambuster Raid, participating in a ceremony to remember the crew of 617 Squadron who didn’t make it back home, and watching a film in an original 1930’s built cinema. This was a weekend which will never be forgotten. 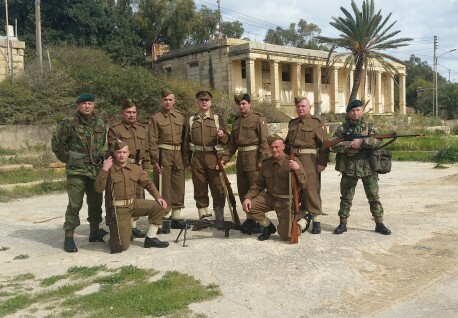 Malta Command was invited by Park Tal-Majjistral to participate in a special morning dedicated to reliving the historical past when the area of the park was used as a British military base. 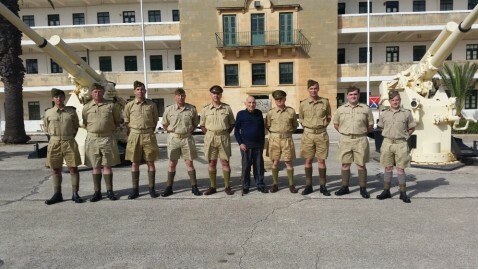 Denis Darmanin gave a talk about the history of the area as a military base used by the British which was followed by a short talk given by Colin Micallef about the uniforms and equipment that was used by the KOMR during WW2 and the Royal Marines in the late post war years. After the talks a drill display was held together with a display of WW2 and post war weapons using blank ammunition. The public was then asked to join the organizers for a walk in the park identifying some of the relics from that period. This year's training camp saw us back at the Red Tower promontory in Mellieha. During the camp we had the opportunity to refresh on certain topics such as manner of dress, equipment etc. This was especially beneficial for the newer members of our group. Out on the field, we held a recce exercise which was followed by a patrol in sections of the are surrounding the Tower. To our surprise we caught a German ambush unawares and having disrupted their plan, made quick work of all enemy forces. Following this intense skirmish our German 'friends' were invited over to the tower for an enjoyable evening dinner and a few drinks. On Sunday morning more lectures and a good session of drill brought us all up to scratch and ready for upcoming events. 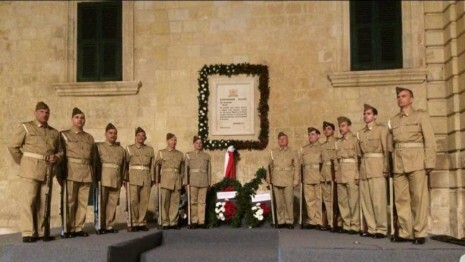 Malta Command was once again asked to participate in the George Cross Ceremony commemoration held in St. George's Square, Valletta. Following last year's absence we were very glad to be back on this event and humbled by the praise and gratitude of visitors and organisers alike. 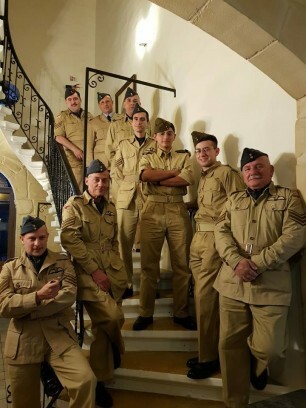 To commemorate the 'Finest Hour' of RAF fighter action during the Air Battle of Malta, our Unit met for a dinner of remembrance at the point De Vue Hotel which was the RAF sergeant's mess where pilots were billeted during the war. On the Glorious 10th of May 1942, following the successful arrival of 64 new Spitfires during Operation Bowery, Malta's defences put up a hell of a fight and managed to down 65 enemy aircraft during a day long engagement. 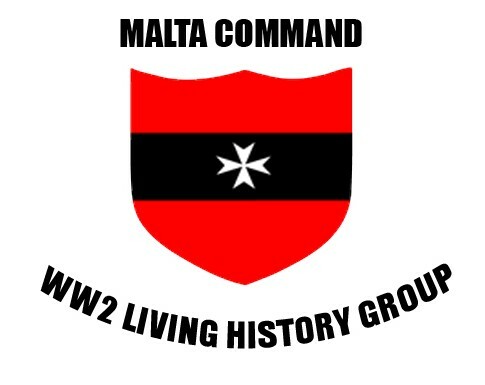 This day proved to be the turning point of the Air Battle of Malta, which saw the RAF gradually taking superiority and command of the skies above Malta and the Mediterranean. 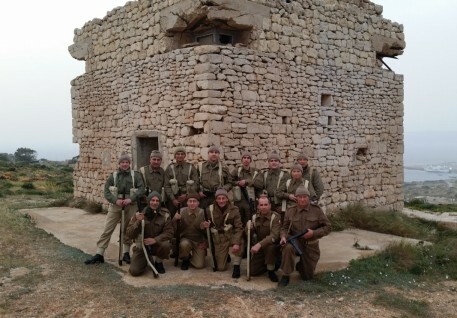 To commemorate the citizens of Zejtun who lost their lives during the war, Zejtun Local Council held this event in the village square, where, 76 years ago, a German air raid deliberately attacked the civilians in the square,resulting in a massacre. 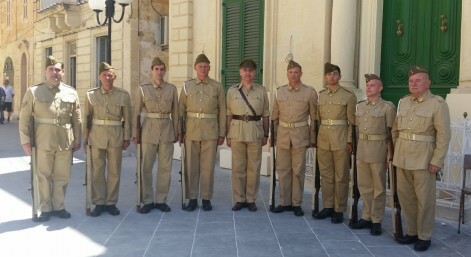 Malta Command provided a guard of honour during the ceremony of remembrance whilst local dignitaries recited poetry and remembered the fallen. This event was a very special one since we were honoured with the presence of a special guest; Major Maurice Agius, RMA. Maj. Agius, who commanded a battery of 3.7" HAA guns throughout the war, gave us a thorough explanation of his role in the war and recounted some anecdotes of those hard times. On the parade ground, Major Agius explained the intricacies of how the 3.7" guns worked, using the original guns which are still there. Following this interesting talk, the Army invited us to the Sergeant's mess where we held a little reception on the occurence of the major's 97th Birthday! A very interesting and educational visit was held at Fort St. Elmo where we were chaperoned around by Mrs Elaine Zerafa who was a member of the WRNS during the post war era and was stationed at Fort St Angelo. We were very lucky to be given this private tour, during which Mrs. Zerafa told us many interesting anecdotes as well as some secrets of how the Fort operated during the postwar years. Following the visit, Mrs. Zerafa shared with us memories and photos of her father and grandfather who fought in World Wars One and Two. 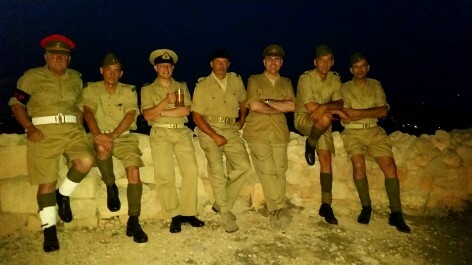 An enjoyable evening was held in good company as Malta Command joined the Military Vehicles Collectors Club for both our annual summer barbeque get togethers set against the beautiful backdrop of Mellieha Bay at the Red Tower.